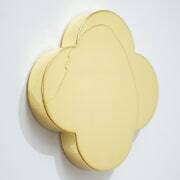 Page Blackie Gallery artist, Max Gimblett, will be in Wellington from 18 May with his new exhibition white stone clear water opening here on 19 May. Max will be hosting Sumi ink painting workshops, public lectures, private dinners, floor talks and PowerPoint presentations of his recent inclusion in the current exhibition at the Solomon R. Guggenheim Museum in New York. Contact the Gallery for details.